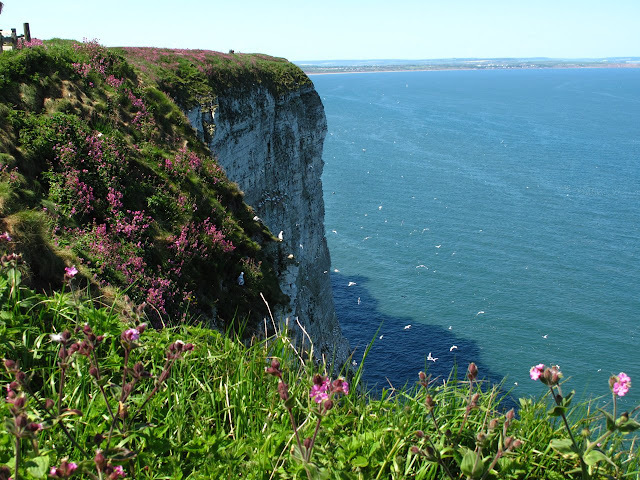 A blue sky and warm weather takes us to the cliffs of the RSPB nature reserve, Bempton Cliffs. 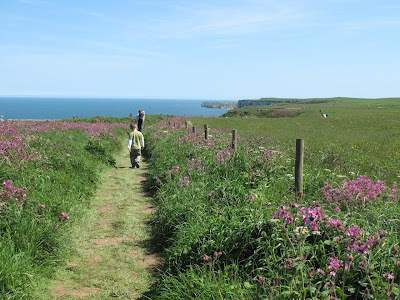 The reserve includes not only the high chalk cliffs overlooking Filey Bay and Speeton sands, but also fields next to them, which today were covered with a pink carpet of Red Campions (Silene dioica). Buttercups and Gorse were also flowering. Nettles are very abundant, and we see a few peacock butterflies. 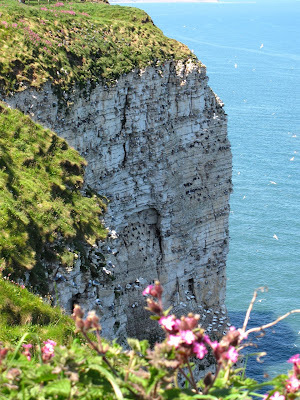 The main reason to visit Bempton cliffs are the nesting seabirds and May and June are the top months to see them nesting. 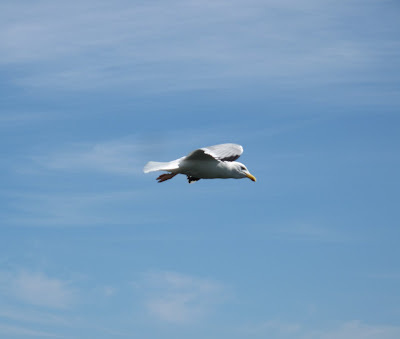 There are eight breeding species: Kittiwakes, Razorbills, Guillemots, Gannets, Fulmars, Puffins, Herring Gulls and Shags. 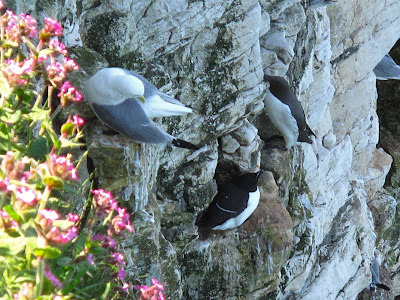 Today we see them all except for the Shag (the rarest breeder, also tends to nest at the base of the cliff). Kittiwakes make the background noise at the cliffs. 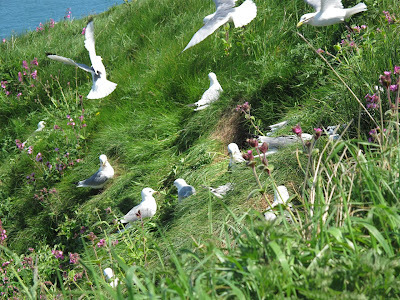 A group of Kittiwakes pulling grass to line their nests. 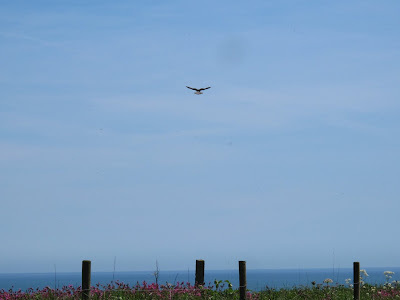 We have a picnic on a meadow watching a Kestrel hovering over the cliffs. 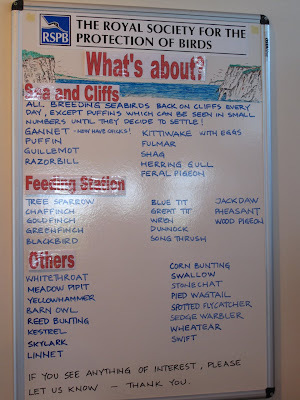 The 'What's About' poster at the reserve visitor centre. Gannets on nests and flying.